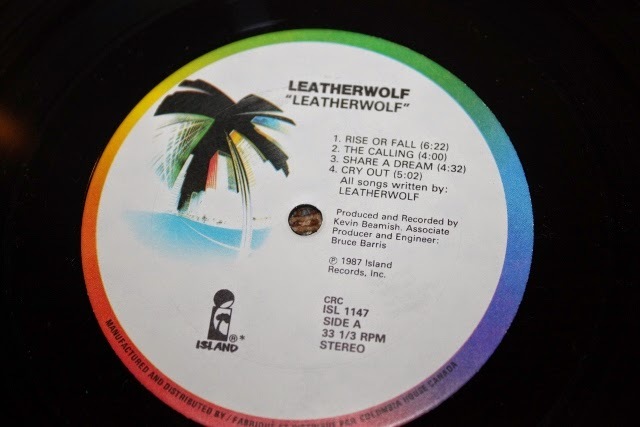 Maritime Vinyl: Revisiting a Classic - Leatherwolf! Revisiting a Classic - Leatherwolf! I’m going to have to label this summer my “Summer of Hair Metal”! While I continuously listen to folk, rock, jazz, blues, etc.. I always seem to be leaning towards putting hair metal on the turntable during the evenings. This week’s #1 pick is the second self-titled album by the American heavy metal band Leatherwolf. 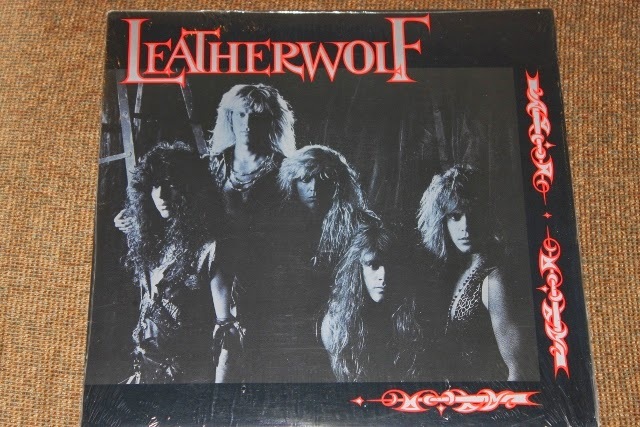 Leatherwolf was formed in California in 1981, and has since released five studio albums (and are still active today). Early in their career, they were often seen touring along with bands like Metallica and Slayer until being noticed by record label Tropical Records (Enigma) whom agreed to release their debut album in 1986 (this year varies from 1984-1986 in many sources I have read, www.discogs.com has it down 1986 as their earliest pressing so I’m betting on that year). 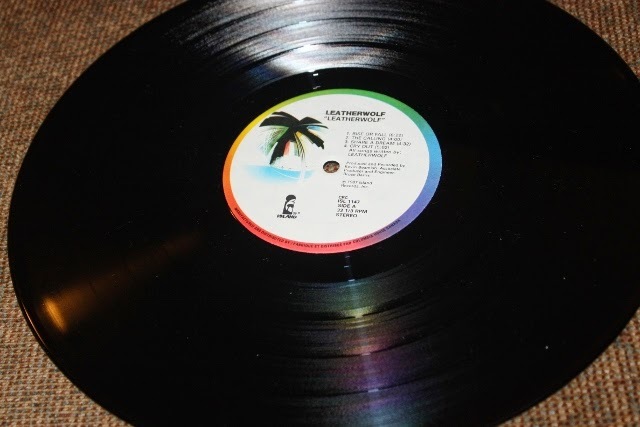 This was the only album released on Tropical as they moved to the major label Island Records after its release. This is where they released the album that I own, which too is self-titled (confusing). The lineup for this album consisted of: Michael Olivieri on vocals/guitar, Carey Howe and Geoffrey Gayer on guitars, Paul Carman on bass and Dean Roberts on drums. This three axe attack of guitars was crazy for this release. There were extreme progressive solos, dual solos, synchronized solos; I love these “battle of the guitar” type albums. I really like the opening track Rise or Fall in particular. With the slow clean guitar intro which leads to the addition of two lead guitars, all leading to a big smash of heavy drums, distortion and glam style vocals. Now that’s a solid intro. There are many styles of songs featured on this album, most stay in that mid tempo metal range. These songs are not too fast (and not so slow its boring), but consistent leaving lots of room for the guitarists to breathe with their complex solos. Most of the songs stick to this formula, but the always anticipated rock ballad also makes an appearance in Share a Dream, plus they threw in a cool cover of CCR’s Bad Moon Rising just for good measure. This is at the top of the pile for hair metal albums in my collection. A safe bet for all you 80’s rock fans and a must have for any metal collection. Revisiting a classic: Blue Murder! David Bowie - 40th Anniversary 7" Picture Discs!